Did you know that up to 40% of visits to the veterinarian could be avoided? 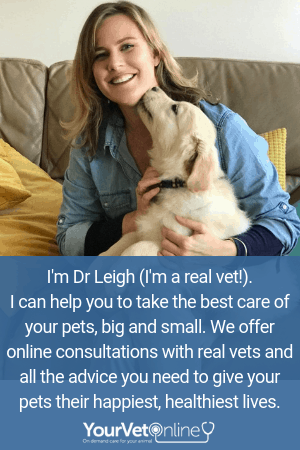 There are many conditions that pets get that can be treated and helped by veterinary consult via an online telemedicine consult without the hassle and expense of a trip to a veterinary clinic. But how do you know that your pets’ condition doesn’t require an in-person visit? A better way to answer this question is to let you know what health conditions and problems MUST be seen by a veterinarian and require emergency vet care. Read on to learn what key health conditions for pets and horses require an emergency transfer to a veterinarian. Understanding these conditions and knowing the signs to look out for, means that you can ensure that you are not putting your pet or horses’ life and welfare at risk. Are you ready to learn how to recognise the signs? Eyes are precious and any change in that you notice in an eye means that it needs to be seen immediately. Many conditions that affect the eye can deteriorate quickly, resulting in permanent damage and in some circumstances, blindness. Prompt treatment can avert such tragedy and save your horse’s or pet’s eyesight. Eye conditions are usually extremely painful so that in itself is worth a visit to your vet. The eye ‘popping out’ of the socket. Anything sticking in or out from the eye, or eyelids. If the eyeball has popped out of the socket, wet a cloth and put this over the area to keep the eye moist. General anaesthesia to remove foreign body’s, replace a ‘popped out eye’, suture wounds etc. Any animal that has been in an accident or attacked will be in shock. It is possible that there may be internal injuries that may not be immediately noticeable to the untrained eye. So even if there is little damage showing on the outside, there may well be internal injuries. It is better to have your animal checked by a veterinarian than assuming that all is ok to later find that they have died. This is an xray of a horse with a broken pastern. If you find your pet/horse unconscious or collapsed – immediately check for a heartbeat and if they are breathing. You can check for a heartbeat by feeling just behind the elbow between their ribs. Taking care not to be bitten, prize open the mouth and extend the tongue. Start CPR if no heartbeat is found. Cover any wounds with a clean towel and apply firm pressure to any bleeding areas. Avoid forcing them to walk. Place in a cage/crate or carry on a blanket/stretcher. Be careful when moving that you do not get bitten. Use a large, thick blanket to cover the head when moving. The order of treatments that are given to your animal will depend on the extent of the problem on arrival. In true emergency situations, there are often multiple people examining and prepping your animal. For example, while a vet may be performing a clinical exam, nurses may be putting in IV catheters, pulling blood and intubating (gaining access to the airway). Medications to aid blood pressure, kidney function and brain pressure. When a dog’s stomach bloats or your horse gets colic, these are two situations where you don’t want to muck around asking for advice on Facebook forums or searching Dr Google. In some circumstances, bloat in a dog can lead to gastric dilation and volvulus, where the stomach flips on itself and cuts of blood supply to itself. It’s an emergency that will result in death if not treated by surgery. Some horse colics will also be very severe and require surgery. It is difficult to tell without a clinical examination if a colic will be able to be medically treated or will require surgery. A radiograph of a dog with bloat. You can see the gas-filled stomach. In the case of a dog with a suspected GDV (gastric dilation volvulus) your dog will be rushed to have a catheter placed so that large volume fluid replacement can be started and will most likely have an xray to confirm the diagnosis. Pain relief and a trochar will be placed in the stomach to reduce the pressure that build-up of air causes. You will be asked if you wish to proceed with surgery. There is NO other option. Surgery for GDV is expensive and it isn’t without risk. Your dog may have to have some of their stomach and intestine removed and post surgical complications may occur. For horses with colic, your vet will likely assess the level of pain and do a clinical exam that includes a rectal exam. In many circumstances, they will also pass a stomach tube to release gas and check for reflux. If pain medications fail to resolve the pain and clinical signs are consistant with a surgical need then your horse will need to be referred to a surgical facility. Watching an animal struggle to breathe is no fun. If you think this is the problem, get them into the car asap and get to an emergency vet near you. There are many situations that can result in breathing issues. For some, it may be congestive heart failure or asthma. It may be due to a snake bite or paralysis tick. If your pet stops breathing or their breathing is very shallow you can breathe for them by giving mouth to nose resuscitation. Make sure you close their mouth and you breathe into their nose. Try to be very calm. You don’t want to stress your pet. If your pet is still breathing on their own then the vet is likely to take your pet somewhere quiet and give supplemental oxygen. If your pet has stopped breathing then your vet will likely pass an endotracheal tube into the trachea and start breathing for them. Further diagnostics and treatments will occur depending on the likely cause of the problem. Witnessing your pet seizure or tremor uncontrollably can be very scary. Again, there are many potential reasons for seizures or tremors to occur from toxicity such as permethrin poisoning in cats, to severe heat stress, brain tumours or epilepsy. If your pet is having a seizure for the first time it will be very scary. Don’t try to interfere, as you don’t want to get hurt yourself. Move any objects out of harm’s way and try not to touch your pet. When the seizure stops, they will be disorientated. Give them time. If the seizure lasts for longer than 2 minutes at a time, or they start to have multiple seizures (we call these cluster seizures) then you need to go to a vet immediately. For whole body tremors, bundle your pet into the car and go to the vet immediately. If your pet is still seizuring or tremoring then they will give medication to try to stop this. The vet will then start the hunt for what caused the seizures/tremors in the first instance. This will involve a comprehensive history and then blood testing. On some occasions, an MRI may be recommended if a neurological cause is suspected. Decontamination procedures will be started if a toxicity is recognised. A simple bout of vomiting and/or diarrhoea is common and unlikely to cause great concern. We can often manage our pets at home with some online veterinary advice. When though, is vomiting or diarrhoea thought of as an emergency? Frequent vomits that are unrelenting are a good reason to go to your vet. Likewise, if the vomit contains blood or dark coffee granule coloured material it is best to go straight to your veterinarian. Diarrhoea that contains blood or is black in colour needs to be seen. In any situation where there is vomiting, you must withhold food and water until your vet says you can reintroduce. There are no medications that you can safely give without veterinary advice. Your best bet is to go to the vet immediately. If you are not sure whether you do see a vet, get in touch with one of our online vets and they can advise you. When your pet arrives the vet will take a thorough history and perform a clinical exam of your pet. There are so many potential causes of vomiting and/or diarrhoea that blood testing will be a standard procedure. In some circumstances, faecal tests will be performed and radiographs and/or an ultrasound exam will be needed. Depending on how dehydrated and sick your pet is, they may need to start on intravenous fluids and be given medication to help prevent vomiting and protect the stomach. For cats, dogs or horses if they look like they are straining to urinate or constantly posturing without producing any urine, then this is a situation that requires urgent vet help. Call your vet and travel there immediately. A bladder that cannot empty can burst. What to expect at the vet? Your vet will perform a full clinical exam and feel for the bladder. They possibly will ultrasound or radiograph the abdomen to help them visualise the size of the bladder. For pets that are critically ill, blood tests will be taken to check electrolyte status and fluid therapy started. Your pet will be anaesthetised and the bladder will be unblocked. These situations require your pet to be hospitalised for a day to 3 or 4 days depending on the cause, how sick they are and how they respond to treatment. Sometimes our animals are acting very strange and we just aren’t sure what is going on. The absolute best thing you can do in these situations is to contact a veterinarian for advice. Our online vets are available for emergency vet care 24/7. While you may still need to visit a veterinarian for further tests and treatment, many times we can sort out the issue for you then and there and save you an inconvenient trip in the car with your pets. I think you’d agree, it’s far better to be safe than sorry with our pets and horses, don’t you agree?